Apartments for sale on the Mar Menor. First line to the beach. Suitable for Beach Lovers. The Mediterranean bathed region of Murcia, is not only known for its beautiful beaches, but also for a great number of natural beauties . It is precisely its natural charms and contrasts that makes Murcia outstanding from other regions. Mazarrón is close to San Javier (Murcia), Almeria and Alicante airports. Traveling times are approximately 45 minutes from San Javier (Murcia) and 1hr 30 minutes from both Almeria and Alicante. La Manga Mar Menor Hotels Costa Calida A Featured Hotels list for the Murcia region. Hotels in Los Alcazares, contact details for the main 4 Hotels in Los Alcazares, plus other local hotels. La Torre is a lovely, self contained Resort on it's own and you would have a wonderful holiday if you didn't venture further afield. However, that would be a pity, as we believe that to get the best from your holiday you should consider renting a car as there are so many places to visit and enjoy within very easy reach, if only for the many lovely beaches within a 15-20 minute drive, the nearest being Santiago de la Ribera. La Azohia is cuddled by mountains and surrounded by sea. The beautiful sandy beach stretches for miles and even in the highest season you can find a beach to yourselves.The Costa Calida is a beaufiful part of Spain.The area has a quiet village atmosphere with some local bars and shops. The Port of Mazarron is 10 minutes drive away. The Mar Menor is the 'world's largest pool' and sits in the southeast of Murcia. It is a shallow lagoon of 170 square km with warm waters and gentle winds. It is known to be one of the best places in Europe to learn water sports. First the Phoenicians then later the Arab Kings made this 'little sea' their summer retreat. The Mar Menor is separated from the Mediterranean by a narrow strip of land only 22km wide, called La Manga del Mar Menor. its sandy beach and clear waters have made it one of the highest regarded resorts on the Mediterranean. The beaches are complimented by a huge range of hotels, casinos, golf courses and everything a holiday-maker could wish for. A few minutes away is Cabo de Palos, a charming seafront village with a unique 19th century lighthouse and two delightful beaches. Puerto de Mazarrón is a seaside resort town with excellent hotel facilities and a lively nightlife. You must visit the fishing port and the fish auction. The local coastline offers splendid beaches and unspoilt coasts. About 3km from the coast is the town of Mazarrón with some excellent buildings including the Town Hall and several churches. Here too you will find the ruins of Velez Castle. 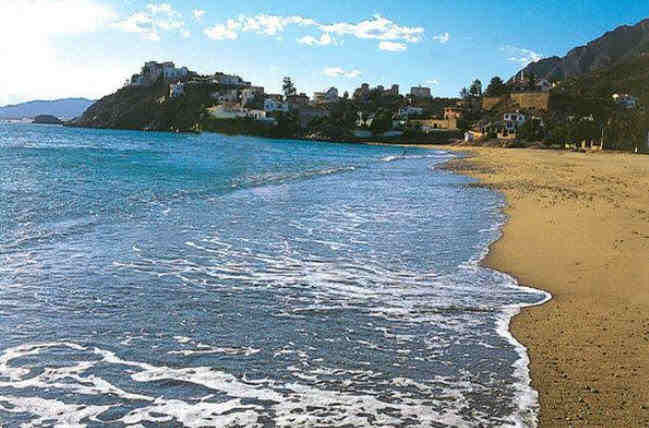 The coastal road takes you southwest to Aguilas, an old Roman fishing port. Hornillo Wharf, where iron was loaded for shipping still stands, a reminder that this was once a 19th century mining town. In the centre of Aguilas you must visit the lovely gardens in the Plaza España, the 19th century Town Hall and the impressive church of San José. In the high part of the old quarter stands the castle of San Juan de Aguilas, built in 1579. At the foot of the castle is the harbour and a typical lighthouse. The coastline here offers excellent diving. Also try : For a very large selection of Private Property rentals from across the World www.gamasl.co.ukSuch as Brazil Italy Greece Bulgaria. For Holidays on the Canary Island go to http://www.spanish-holidays-ltd.co.uk/index.htmAll are privatly owned.